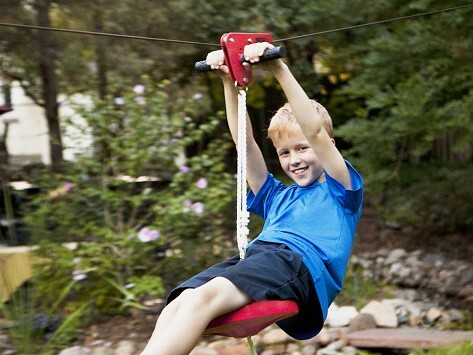 Zipline kits to help you start learning and having fun in your own backyard. Designed for beginners, the kit is easy to assemble, comes with everything you need and can be set up in 30 minutes. Handle Dimensions: 9" x 12"
Weight: 70 ft: 13 lbs. ; 90 ft: 14 lbs. Weight: 70 ft: 11 lbs. ; 90 ft: 12 lbs. 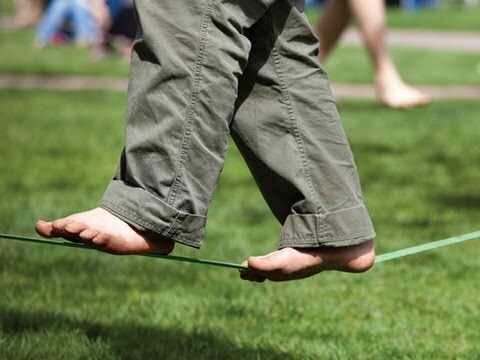 Requires sturdy anchor points—a healthy tree 36" around or a pole or post that can handle at least 1,200 lbs. This zip-line is the best time you can have in your back yard.